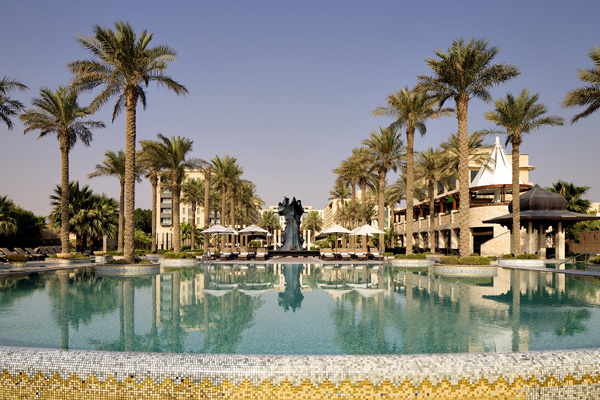 Jumeirah Messilah Beach Hotel & Spa, Kuwait’s idyllic resort, is looking to indulge family guests from around the region with an extensive array of family activities this upcoming Eid Al Adha. The luxurious resort is offering a fun-filled holiday with plenty of children’s entertainment at the kid’s clubs, non-motorised watersports activities along with a spectacular Eid Brunch buffet in the popular all-day dining venue Garden Café. On the occasion, the hotel’s opulent Garden Café will serve up a special Eid Brunch buffet for those looking to relax in its vibrant surroundings. The menu reads like a dining theatre with dishes lovingly prepared by the award-winning culinary teams. Signature dishes will be on offer including live cooking stations, ouzi carving, whole baked salmon specialty, mixed grills, an Asian, Indian and Oriental corner as well as food trolleys displaying lively culinary demonstrations. Children will also enjoy their own dedicated buffet of treats featuring candy floss, tempting crepes and a range ice cream flavours. The stunning resort, which holds a TripAdvisor Certificate of Excellence, is enticing guests to cool off with an expansive watersports programme which includes kayaking, diving, fishing and banana boat rides. For a more laidback time, guests can chill out by the pools and catch the sea breeze amidst idyllic backdrops. With Eid Al Adha also comes a packed programme of leisure activities for all ages starting with fun in the Sinbad Kid’s Club and Teen Scene Club equipped with a private theatre, latest video games, interactive board games and Arts & Crafts. Aqua Zumba classes and fitness sessions featuring yoga and martial arts classes by Talise Fitness are also available for an active and energetic holiday. At Talise spa, taking time out to relax is revered as one of life's true luxuries. Be pampered and preened with in-suite heavenly treatments while exploring the spa’s vast facilities and tranquil ambience.